"Started him on Happy Jack and within 3 to 4 weeks no limp." Our Golden developed a limp after running down the steps. Started him on Happy Jack and within 3 to 4 weeks no limp. 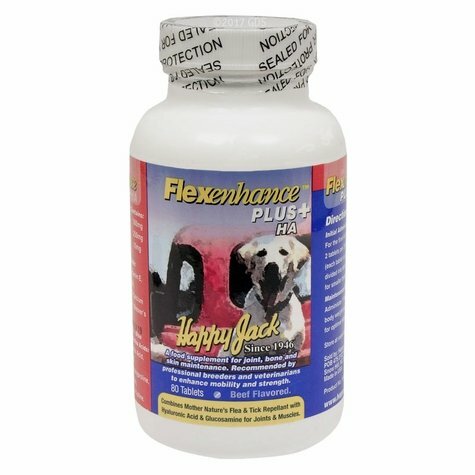 Flexenhance is a canine food supplement for joint, bone, and skin maintenance. It combines Mother Nature's flea and tick repellant with Hyaluronic Acid (HA) and Glucosamine for joints and muscles. 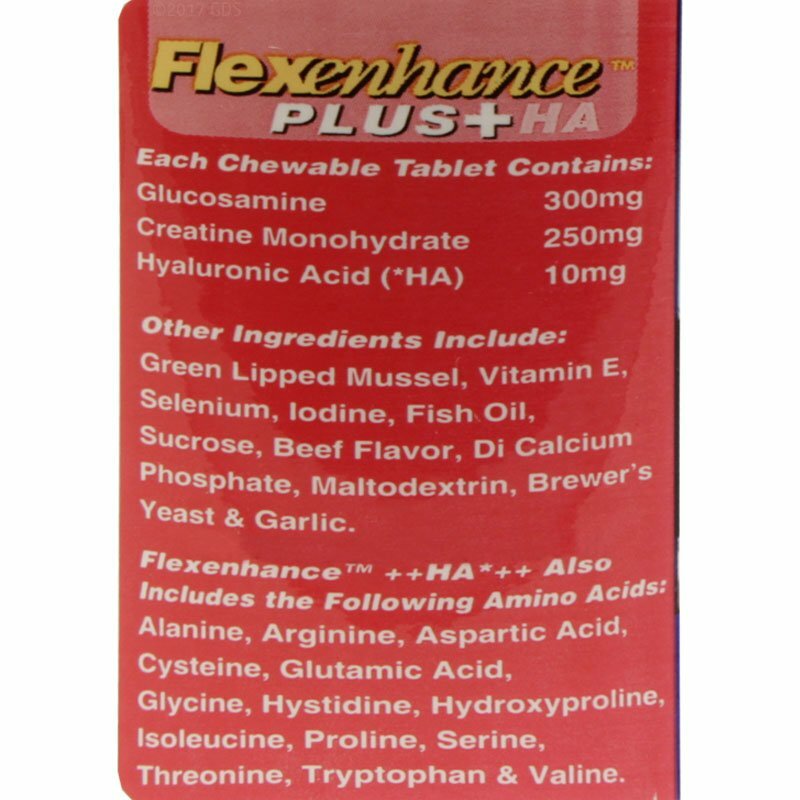 The active ingredients, Glucosomine and Creatine, are natural "building blocks" which actually help reverse the damage caused over time to joints, bones, and cartilage, and improve your dog's flexibility and mobility. Glucosomine is essential in helping the body regenerate connective tissue and helps reverse damage. 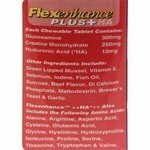 Creatine is the energy enhancing component that increases strength and flexibility in muscle fiber. 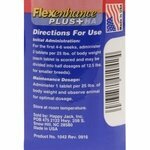 Recommended by professional breeders and veterinarians for working dogs and older dogs, especially those with strength, endurance, and mobility limitations. Made in the USA. Beef flavored. 80 tablets per bottle. 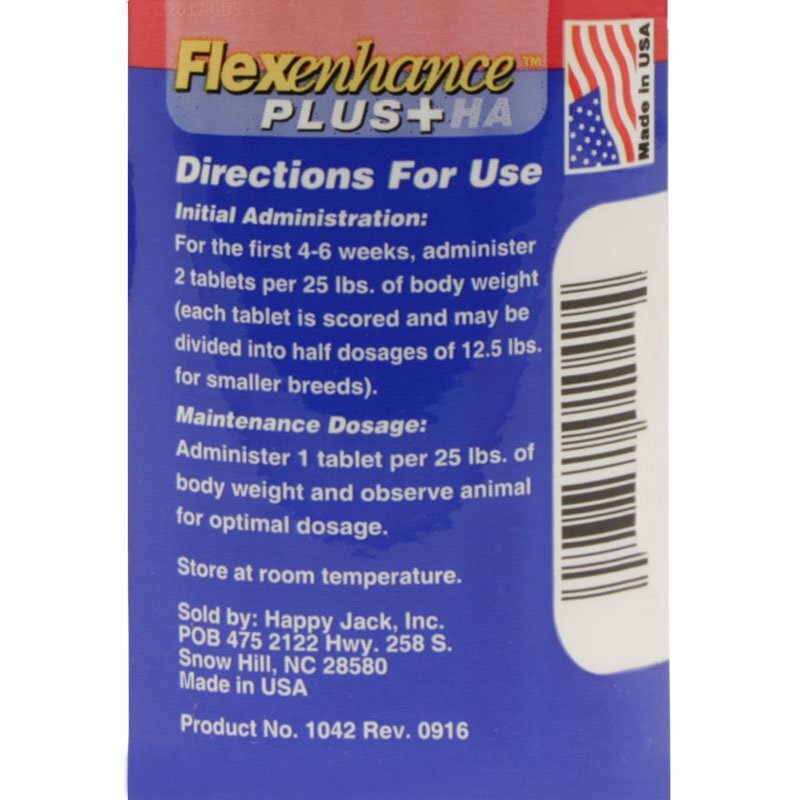 Initial Administration -- For the first 4-6 weeks, administer 2 tablets per 25 lbs. of body weight (each tablet is scored and may be divided into half dosages of 12.5 lbs. for smaller breeds). Maintenance Dosage -- Administer 1 tablet per 25 lbs. of body weight and observe animal for optimal dosage. 300mg Glucosamine, 250mg Creatine Monohydrate, and 10mg Hyaluronic Acid.